Lisa E Design Blog: Presenting... Two Page Terrific! 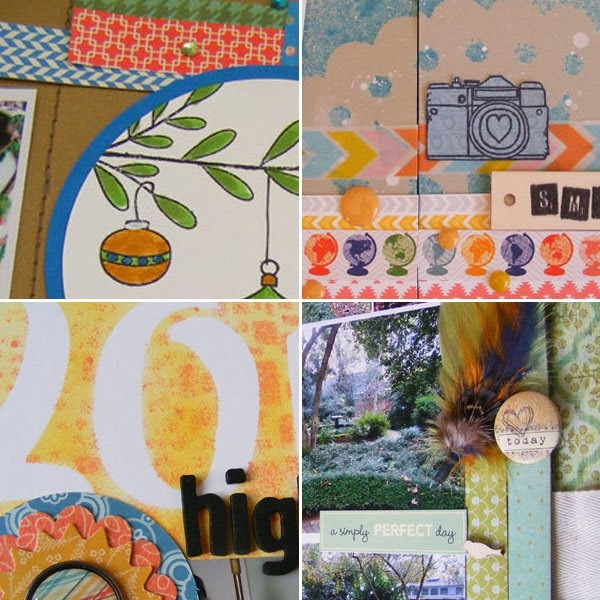 Do you create two page scrapbook layouts? If so, I have a new class just for you! How to stretch that ONE piece of the perfect pattern paper across two pages. What to do about the space between your pages in your album - the gutter. Do you place elements across the two pages or keep things squarely on each side of the gutter? We'll do both kinds of layouts in this class. Smoothly incorporate pocket pages along with your traditional 12x12 pages. Convert one page sketches to two pagers with an easy technique. Use your stamps. Do you have stamps gathering dust? Get them out, dust them off and let's put them to work! Trim the cost. Two page layouts don't have to be twice the cost. By stretching many of your supplies through various techniques, you can keep your cost low and fill those albums with memories. Store and incorporate memorabilia on your pages. Print journaling on your background paper - even if you don't have a wide format printer. Create a photo collage in Photoshop Elements for adding even more photos to your two pagers. Learn tips to for machine stitching on your pages. This class is filled with practical ideas you can put right to work on your pages. So I hope you will join me for Two Page Terrific! The class is self-paced so all the materials are ready to go. You can join in and watch at your convenience. The cost of this class is only $20 for over 2 hours of HD video plus 6 PDFs with sketches, supply lists and several extra tips. The Creative Cardstock class (on the sidebar) is also still available for $15 with tons of video and ideas. This definitely fills a niche, Lisa. I know so many people who struggle with two-pagers.